There will be an After Dark discussion following the 19:30 performance on Fri, 2nd Jun. Free to ticket holders. 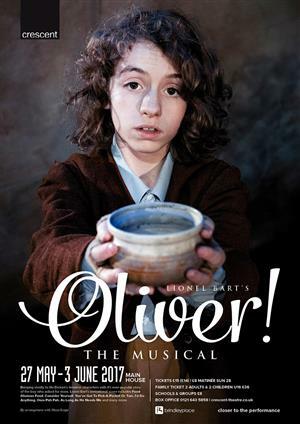 Bringing vividly to life Dicken's timeless characters with it's ever-popular story of the boy who asked for more, Lionel Bart's sensational score includes: Food Glorious Food, Consider Yourself, You've Got To Pick-A-Pocket Or Two, I'd Do Anything, Oom Pah Pah, As Long As He Needs Me and many more.